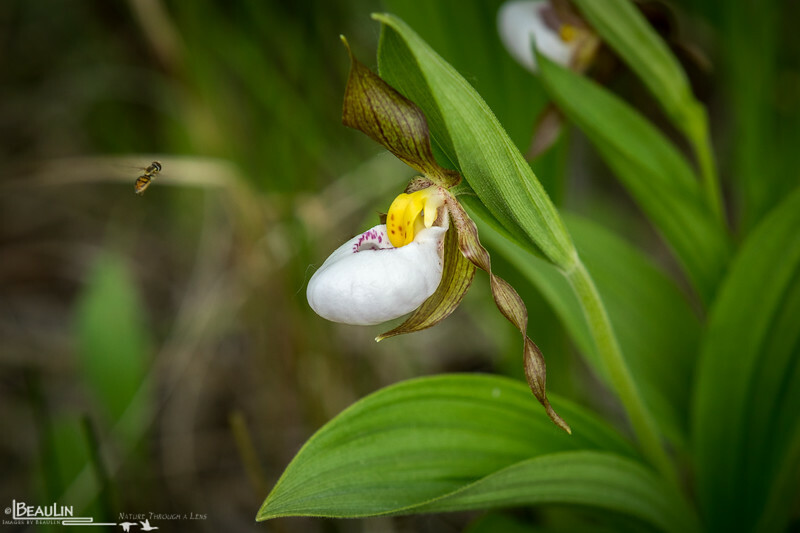 Blossom of a small white lady's slipper (Cypripedium candidum), visited by a flower or hover fly, also known as the marginated calligrapher (Toxomerus marginatus). Orchids of this genus deceive would-be pollinators that they will be rewarded with nectar. But, Cypripedium orchids don't have nectar. They mimic other flowers that are in bloom during the same time, and many also attract flies & bees by eliciting odors that mimic insect reproductive and alarm pheromones.